So you think you lost money on your Real Estate… Find out how a loss can be a gain and why 1031s can be more important today than ever before! Why and How to do a 1031 Exchange, even today. 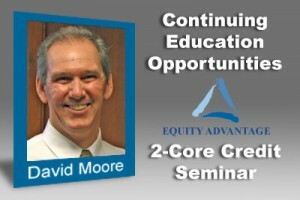 Attend: Wednesday, August 17th, 2011, 10:00 am – 12:00 pm at Equity Advantage, Lincoln Center, Building 3, 10220 SW Greenburg Road, Suite 111, Portland, OR 97223.